Is Lesielle a project or a reality? Lesielle is already a reality and we keep growing! At the moment we are closing agreements with international distributors to consolidate Lesielle internationally. They have even been interested in our technology, one of the 3 most important laboratories in the world. Proof of Lesielle's good performance is the success of our international crowdfunding campaign, which was successfully financed, with more than 180 sponsors from all over the world supporting our project. - Winner "THE BEST OF THE BEST" in the International Cosmoprof Awards Bologna 2018. (The most prestigious award of the cosmetics industry worldwide). - Winner of the Andalusian Award for Entrepreneurship for Innovation and Transformation. 2017. - Winner of the "Best Investable Project" in the Investment Forum of the foundation Andalucía Emprende (Keiretsu Forum) - Finalist in the CEPYME 2017 Awards in the category "Pyme Proyecto Emprendedor". - Selected by the program Minerva 2017 (accelerator of Vodafone and the Junta de Andalucía). - Special Prize in the I Elevator Pitch Competition Bahía de Cádiz 2017. - Finalist in the Cadiz Awards is Digital, in the category "Best E-commerce". Lesielle is synonymous with the future and thinks of you and your skin because it differs from traditional cosmetics. 1- Your skin is unique, so no generic treatment can be 100% adapted. 2- Your skin is constantly changing and the care you need today may not be the same as you need tomorrow. However, today's cosmetics are static formulas designed to take care of the skin of groups of people with similar needs, without taking into account that each person's skin is unique and different at every moment. For example: you have probably seen cosmetics advertised as "anti-ageing cosmetics for mature skins" But are all mature skins the same? The answer is obvious because although both have mature skin, one may be dry, another oily and another sensitive. Even more incredible is the case of cosmetics aimed at "all skin types". Lesielle is different and allows each person to create the perfect cosmetic they need at all times and modify its properties when they need it. Why are adaptive skin care is better than traditional custom skin care? 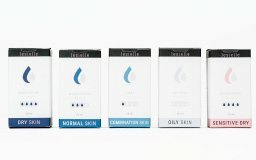 Because traditional custom skin care is based on static formulas that do not adapt to skin changes, but with Lesielle's adaptive skin care it is possible to create different formulas before applying it each time, so that the skin care always adapts to the needs that each person has at a given moment. 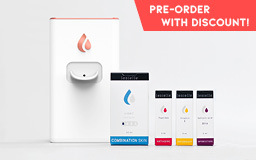 In addition, Lesielle is a custom cosmetic with no wait (it is not necessary to order and wait for it to be made), reasonably priced thanks to the technology used, easy to use and you can create special formulas to use at specific moments (for example adding a soothing effect when you have irritated skin). And perhaps the most important thing: it is a more effective skin care. Why are the skin care of Lesielle more effective than others? Because the skin care is specifically adapted to your own needs, and thanks to the isolated formulation, they are more concentrated and we can create new combinations that traditional skin care cannot. Are you going to make new active ingredients and bases? Of course, we don’t stop working to increase our catalog selection. In addition, this will be done based on your suggestions. We want to know your opinions: we are a company that listens and our goal is to satisfy all your needs. If you have a suggestion, we would delighted to receive a message from you. If I open an airless container, can I use it again? Definitely. You can remove them and reuse them when you need them. Of course. The Lesielle team has grown with a deep environmental awareness and we work every day to reduce the ecological footprint as much as possible. How long do your skin care last? Like standard skin care, they last from 9 to 12 months. In addition our products use airless containers that keep products from having contact with the air, therefore they do not oxidize and conserve better which allows us to reduce the amount of preservatives used. I have sensitive skin, can I use Lesielle products? Sensitive skins are always more delicate, but with Lesielle it will be easier for you to find a cosmetic compatible with your skin. At Lesielle we follow a philosophy of minimalist formulation. This means that we only use the ingredients necessary, this way we reduce the risk of allergies, improve the effectiveness of the treatment, and conserve the active ingredients to make them more effective. 1- Pick a base. Our bases are designed without fragrances to reduce allergies, but if they do not feel good even with this, try our range of bases for sensitive skins. 2- Try each active ingredient separately. If they are compatible with your skin, combine them adding them one at a time. If there is an incompatibility when you add one, switch it for an alternative. We recommend doing each test on a small section of skin. As you can see, sensitive skin is always more complex, but with Lesielle you can discover which ingredients you can use to create effective and advanced treatments. When you say bases, are you talking about makeup or creams? Our bases are creams (moisturizers), they are not foundations. That is, they do not provide color, rather they are intended to treat the skin, providing hydration and texture. Is the product only for the face or does it also work for the neck and décolletage? Does the same dosage work for everywhere? Yes. The amount of cream that comes out is designed for the face, neck and décolletage, which is how the product should be correctly used. Can I create a skin care with solar protection? Without a doubt! Our bases are also available with SPF 30. It is very important that you protect your skin from aging from light and solar radiation if you are going to be exposed to the sun for a short period of time. Do you use parabens or sulfates in your formulas? No, our products are free of parabens and sulfates. Why don’t you use hyaluronic acid as an anti-aging active ingredient? Hyaluronic acid is too large of a molecule to pass through the skin, so it ends up staying on the surface, its biggest advantage is that it retains water and protects against dehydration. That is why you will find it in the blue range of “Protection and care”. Does Lesielle use natural ingredients? All our products use natural ingredients, especially natural oils and fats which are an excellent source of nutritious and protective ingredients. We only use natural ingredients in our natural line. In the standard laboratory line, they are combined with safe synthetics in order to improve sensory and moisturizing properties. Does the natural line contain preservatives? Yes, we use natural preservatives, because any emulsion (cream) that contains water needs to be preserved from bacteria, mold and fungi to be safe. This is also necessary to be approved by the European Union, the FDA or any other health regulation agency. If you find a commercialized product that contains water and says that it does not have preservatives, it is only because it uses ingredients that are not classified as preservatives (they are not classified in a legal way, but work as preservatives). Do you conduct cosmetics testing on animals? No, never. All of our products are 100% cruelty-free. In fact, animal testing is currently completely prohibited in Europe. The European Directive 2003/15/EC, introduced provisions concerning animal testing in Directive 76/768/EEC in the cosmetics sector. Since then, animal testing has been banned in the European Union for cosmetic products beginning in 2004 and cosmetic ingredients beginning in 2009. Thus, since March 2009, the sale of cosmetic products containing ingredients previously tested on animals has been prohibited in countries within the European Union. Does your skin care have perfume? No. We have eliminated perfume to reduce allergies and so that everyone can enjoy adaptive cosmetics, women as much as men. 1- Reducing allergies and intolerances. 2- Saving time: now you will not reject a cosmetic because it had a perfume that does not fit you, and you avoid mixing it with your perfume. 3- Lesielle can also be used by men. Men are generally limited to basic and ineffective formulas because the majority of the advanced formulas focus on women (so they carry feminine perfumes). Men and women can perfectly use the same products and simply eliminate fragrances to create a unisex skin care. The proof is that there no topical medications with versions for males and females. How many active ingredients can I use at the same time? You can combine up to 4 different active ingredients. How many times can I use each active ingredient and base? 70 times. That is, each container has up to 70 uses. This would be equivalent to about 5 weeks of use if you use the treatment twice a day. If you use it only once, it would last twice as long, up to about 10 weeks. Are your bases and active ingredients non-comedogenic? The majority of oils that we use are non-comedogenic. You might find some oils or butters like coconut in the texture for dry skins that are non-comedogenic, but they are not the most common ones. Is the formula your own? The formula is our own, and we produce it in a considerable Spanish laboratory that also manufactures for big brands. With respect to the concentration of active ingredients, are there several for the same active ingredient? Yes, but this will depend on the active ingredients in question. This is because some of the active ingredients, such as retinol, are initially used in low concentrations and increase as time passes to provide a greater effectiveness without irritating the skin. However, this step is not necessary for all of the active ingredients and for the rest the most effective concentration is offered directly (always indicated on the package). What is the exact composition of the ingredients? We can not provide the exact INCI (International Nomenclature of Cosmetic Ingredients) at these moments of reservations because we are requesting the formulation patent. That is, while we are still in this process patent we can not reveal very specific details, since the information needs to be kept confidential until the procedure is completed. However, we can tell you that we do not include controversial ingredients such as parabens or sulfates. If you are worried about any specific ingredient we can confirm or deny its presence upon request. In any case, the ingredients will be published before delivering the unites so you will know them beforehand. In case there is one that you do not like, we offer full refunds. How have you been able to get the costs so low? Does it affect quality? At Lesielle we able to lower costs thanks to our technology. 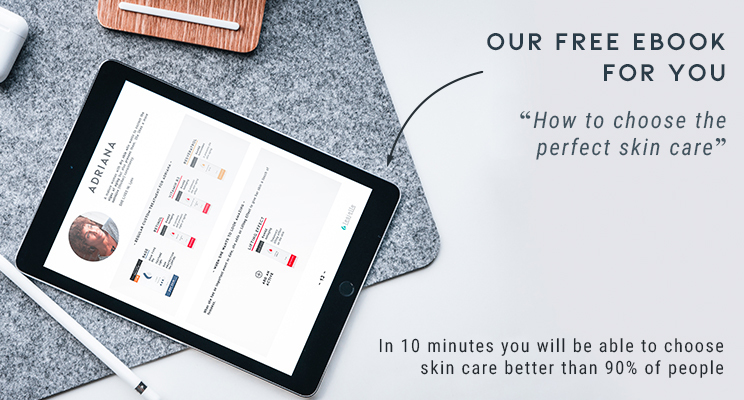 That is to say, we have managed to go from personalized cosmetics where manual processes were used (usually created by hand), to a fully automated online process. Thanks to this we have been able to improve the quality while lowering the costs. ¿Cómo sé cuál es mi tratamiento ideal? If the information on the website is not enough, simply write us asking for advice. If you have ordered a pack, we will contact you 24 hours after your order to advise you. In addition, on our website you will find specific information about the properties of each active ingredient. These are classified by families of color according to the treatment signs or effects you get with the treatment. 1. Check the bases section and identify your skin type with the basic tips. It is very easy. With this and the texture you prefer, you can decide your base. 2. Identify what signs you want to correct with your treatment or the effect you want on your skin. Then choose the range of active ingredients that allow you to achieve the desired result. For example, are you looking to correct some spots on your skin? Choose the range tone and spots. 3. Look within it for the main active ingredients that best suit what you are looking for. For example, if you have chosen the anti-aging range and you are looking for something that reduces wrinkles, you can choose Retinol or something else with peptides. 4. You can choose up to four active ingredients, whether they are in the same range or not, depending on how complete you want your treatment to be, for example, two anti-aging active ingredients like retinol and lifting effect and one from the range tone and spots such as Vitamin C. There are active ingredients that can work as punctual additions for your usual treatment, for example the active ingredient anti-pollution on days with high contamination. You can change (add or remove) the base or active ingredients at any time to set up a new treatment. It is one of the advantages of adaptive cosmetics. If you need more advice you can write us or ask for help at the physical distributors who we work with. On our website, in the bases section, you will find basic tips to easily identify your skin type. If you need more information or you still have questions, you can write us and we will give you a completely personalized advice. How soon are the results of the treatment noticeable? As you probably know, although there is a certain general improvement with the use of skin care in the first few days, it is not until at least 8 weeks that any skin care (whatever the brand) begins to show the best results. What is the function of the device? The function of the device is to mix the active ingredients and the bases that you use into the exact amounts in a comfortable way to create an effective treatment. Yes. In just two steps your personalized treatment will be ready: first add a base (according to your type of skin, texture and desired hydration) and then the active ingredients (that address what you want to treat). Once you’ve chosen the treatment, you just need to press the button every time you want to apply your cosmetic (it will create a single dose). Anytime you need to or want to, you can modify the components. Just 17 cm tall, 9 cm wide and 10 cm thick, including the area where you store the cosmetic (the exact measurements are 170x105x106mm). What colors are available for the device? Right now the device is available in white, pink and black. How long is the warranty on the device? Does it use a cable or a battery? The device has a lithium battery that allows it to function without cables. The battery lasts a minimum of 1-2 months (depending on the usage of the device). You can also easily charge it with a micro USB charger, the typical charger of an Android cell phone. You can reserve your pack in the shop link in the main menu. Right now we are preparing the online store so you can create your own combinations. For the time being, as we are receiving many orders, for a short time we have enabled an offer of a pack of three products (for a limited time only). All you have to do is choose the pack that you prefer: standard (includes 1 device + 1 base + 3 active ingredients) or Premium (includes 1 device + 3 bases + 10 active ingredients) and you can choose the treatment combination that you want when the online store is completely ready. If you reserve one of the packs when the final catalogue is uploaded to the site, we will contact you to advise you on the choice, or if you prefer, you can choose it yourself. You can reserve your pack here. The fees for shipping in Spain are 4,95€. The rest will depend on the country. Yes, for all purchases in the European Union. Outside of the EU, the prices are shown without the tax. How do I obtain the invoice of my purchase? The invoice will be included in the package with your order. We are sending it from Spain. Is it necessary to pay the entire amount in order to reserve it? Yes, you pay the full amount because, in order to compensate for the wait, we offer a very significant discount. Once the store is functioning, it will return to its normal price, so right now is a good time to buy. Can I reserve a pack and cancel it if I change my mind? Yes, you can respond to us directly in the email of your order and edit it without any issue. Can I buy the base and the active ingredients before buying the device? Yes, it is a possible option. We don’t have a problem with sending the base and active ingredients that you prefer, however, we consider the device essential to the correct functioning of the system, as the device makes the mixture of the right amount of each component just before usage. What is the price of the base and the active ingredients separately? The price will depend on the quantity of active ingredients that you choose, but for reference, 1 base with 4 active ingredients will cost 30-35 euros (the range is because there could be small differences for certain bases and active ingredients). The approximate price of the bases is about 9 euros and for the active ingredients it is about 6 euros. So, a complete treatment that includes 4 active ingredients would have a cost of about 33€. How and when do I chose the bases and active ingredients of the set packs? If you have reserved your pack, we will be in contact with you in 24-72 hours so you can choose your treatment. If you are not sure, don’t worry, you can ask and we will offer all the guidance that you need so you can find your ideal treatment. Will you be selling in physical locations? Yes, we are closing agreements and we will be in physical distributors starting in October of 2018. In the meantime, you can take advantage of this opportunity and reserve your preferred Lesielle pack with an exclusive discount. Don’t overthink it; it’s a limited time offer! I have received a damaged product. What do I do now? Contact us and we will replace it with a new one. I would like to edit my order or take advantage of another offer I’ve seen online. Is that possible? No problem. Just contact us. If you have seen another offer or you can to change your pack, you can also do that. There are several Lesielle stores (Spain, France, United States,...) In which version or store of Lesielle can I buy Lesielle? - If you live in a country of the European Union: you can buy in any of the shops belonging to a country of the European Union and in the international version. - If you do NOT live in a country of the European Union: you can only buy in the version of your country. If this is not yet available you can also buy the international version of Lesielle. The reason is that international purchases are tax exempt and in European shops, taxes are always applied. NOTE: Remember you can change the country using the selector at the bottom of the page. You can pay with card (VISA, MasterCard…), Paypal or through a bank transfer. Completely; all of our purchases are 100% secure. We use encryption to protect the information of our clients. We use a payment gateway with the newest technology and don’t store your credit card number. There is an error with my payment. What happened? Contact us and we will resolve it quickly. We are sorry, but right now we do not have this as a payment option. 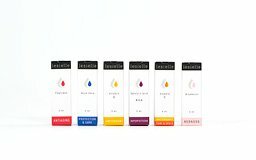 How do I create an account on Lesielle’s website? Go here and register. It’s quick and easy. How do I edit my personal information in my Lesielle account? You can edit all of your information when you access your client account.